ClearOne was awarded a patent for its Beamforming Microphone Array on April 25, 2017. 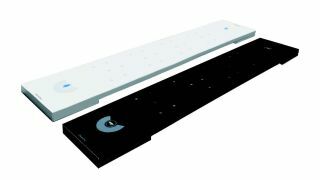 ClearOne first developed its beamforming microphone conferencing system in 2010, according to the company, designed to replace up to a dozen individual mics with a small beamforming array. The Beamforming Microphone Array audio conferencing system was brought to market in 2012, combining beamforming, AEC, and adaptive steering. The second generation was introduced in June 2016, operating on new peripheral bus architecture, allowing it to connect with ClearOne’s Converge Pro 2 DSP mixers. The U.S. patent (No. 9,635,186), entitled “Conferencing Apparatus that Combines a Beamforming Microphone Array with an Acoustic Echo Canceller,” was issued April 25, 2017. The subsequent legal complaint was also filed April 25. Mark Brunner, Shure, VP of global, corporate, and government relations, confirmed that Shure received the allegations. Shure strongly believes the allegations are without merit, and they intend to defend themselves in the matter. While it’s Shure’s policy not to comment on ongoing legal cases, he said that Shure has initiated litigation to defend Shure’s rights and products. A spokesperson for QSC commented, "QSC acknowledges that it has been named as a defendant in a lawsuit filed by Clearone, Inc. alleging patent infringement. QSC disagrees with ClearOne's assertions, and we intend to vigorously defend ourselves in this matter." NewBay Media's SCN and AVNetwork will continue to bring more news and commentary about this.